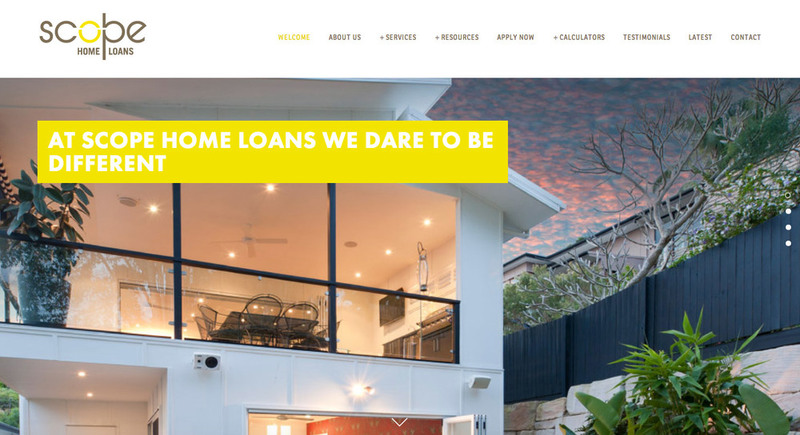 Roundhouse Creative has had the pleasure of developing the new Scope Home Loans website. As Brisbane's Premier Mortgage Brokers, Scope Home Loans is committed to assisting clients in a professional and efficient manner and with a wealth of experience, they are better placed to provide meaningful advice unlike many bank lenders or inexperienced brokers who may have come from different walks of life. We've just launched the New Website for Sol Cleanse. See the below excerpt from the website to get an idea of what goes in the very healthy & tasty world of Sol Cleanse. "It is our mission at Sol Cleanse to introduce people to and support people with fabulous health. But our mission also goes deeper than that. Our intention is to inspire people to live the life they truly love, by helping people connect with their deeper truth whilst going through their cleanse process. Have you ever done a juice cleanse? We have had such wonderful experiences with juice cleanses, but found that producing enough juices for a several day cleanse, whilst continuing “life”, was time-consuming and challenging. We realised that many people were in the same situation as us – wanting to experience all the benefits of a juice cleanse but it was all too much of a hassle… "
Almost every website owner hopes to rank highly for their preferred keywords. Ranking on the first page is never easy, however there are some easy steps to building your own SEO campaign and improving your chances of success. Although SEO professionals have a great deal of specialised knowledge, website owners can do a lot to improve their own ranking with a little extra effort. Remember, that improved search engine results generally lead to increased profitability. Any extra effort you invest will not go unrewarded. SEO should be considered a long term investment - where results are cumulative. A key notion of any SEO plan should be to optimise for your customer. Provide a stream of content that your customers find genuinely find useful to gain significant benefit. If you currently have a CMS website, try implementing the following 3 suggestions to boost the keyword rankings of your website. Decide on a single keyword or keyword phrase to be optimised per page. Write between 500 - 800 words of targeted content that directly relates to your keyword. Ensure that a specific keyword or key phrase is utilised within the title, page headings and sub headings of the page. Search engines scan titles and headlines for information about each web page. Getting headlines right is important. When writing the page content, keep your focus on your customer. The page must read well, offer relevant information and aim for prospect conversion. Never over-crowd a page with keywords. Use keywords judiciously throughout the page - incorporating the use of bold and italic text where appropriate. Add your keyword to image alt tags and page descriptions. 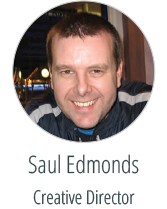 With regard to keyword optimisation, it is often said that we, ourselves are the best piece of optimisation software. Use common sense and creativity to maximise the impact of your keyword or keyword phrase on each page. At Roundhouse, we believe that a blog is a must for almost every website. Blogs are highly recommended to boost your search rankings organically. It makes sense to design your blog articles around your keywords and key phrases. This will enable you to target the 'long tails' related to your keyword. Long tails is a search engine term that refers to search queries of 3 or more words - that is, a more specific query about a keyword. Targeted blog articles for keyword specific SEO is a powerful, long term strategy. Again, ensure that articles are written with your customer foremost in mind. Make use of your keywords in the blog article title, headline and throughout the body copy. Add an image and include your keyword in the image tag. It is recommended that new content be added to your blog at least 3 times per week. Youtube is the world's second most popular search engine (after Google). It is also owned by Google. Any results on Youtube for keyword searches feed heavily into Google results. If you rank well on Youtube - you will probably also rank well on Google. It is also MUCH easier to achieve rankings on Youtube. For example, the term 'web design' returns about 1,250,000,000 results on Google, yet only about 1,250,000 results on Youtube. That's a lot less competitors! Experiment with your preferred keywords on both Youtube and Google and note the results. To take advantage of Youtube for SEO, video content is required. Get testimonials, interview employees, take videos of day to day business operations - all of this makes for good Youtube content. Ensure that your keywords are used in Video titles and in descriptions. Let us know your results. If you implement some of these SEO strategies, we would love to hear from you. Roundhouse is a full service creative agency, located on the sunny Gold Coast Queensland. in addition to our design, print and web services, we offer Custom SEO consulting. We apply our creative process to keywords and search optimisation, working to get top results with innovative content, strategy and social promotion. If you require professional SEO for your website, talk to us regarding our bespoke SEO services. Thanks to the Crew over at www.csswinner.com for awarding roundhouse.cc with 'Site of the Day' .. we're stoked ! A few years back we were commissioned to design the first brisbane rehab website. Now in 2012 we’ve been tasked with re-envisioning the website with a fresh new look and new features for patients to access private sections of the site to view procedures & downloads. This is website V2 for Ozfit. We developed the very first one for this fantastic personal training / fitness studio based in capalaba a few years ago. The new site we have developed for them is jam packed full of content and growing daily with a generous archive of photos and videos. They are very active on facebook as well, having a growing online community to compliment their offline popularity. Recently we launched the New Website for Beam me up photography. Beam me up is Mike Scott, a professional photographer based in the redlands. We were also tasked with designing Mike’s new logo for Beam me up photography. Mikes website is a showcase of his photography but it also acts as an online store for his work. There is a client only section to purchase prints from specific projects which adds a valuable service for his clientelle. Here’s a sneak peek at a new brand we are launching just over the horizon for an online printing store … very exciting !! A series of ads we’ve created for Group 61. Please assist this worthwhile cause by donating 2hrs a week of your time to enhancing the life of someone struggling with mental health issues. Dubli - Fun Shoppping has a brand new Facebook welcome page created by roundhouse. Go like them today on facebook. A brand spankin’ new ecommerce website is just over the horizon for the flower cottage, wooloowin, brisbane and we have the pleasure of developing it for them. Stay tuned and prepare those typing fingers for some serious online flower ordering just before xmas. Oh, and we made them a lovely identity too, mixing old world charm with modern elegance. The Arm… That does the harm is a new project by one of our clients Angela Walsh Productions. The Blog we designed for Angela has just gone live and its soon to be populated by updates about the project, so make sure you check back on the arm and subscribe to ‘The Arm’ RSS feed. Anthony Styliano of stylissimo pty ltd has created an elegant and innovative product that that be applied in various mediums and applications including glass, wallpaper & barrissol. His artwork details beautiful fractalised images of trees & plants that sit somewhere between stained glass and avante-garde art installation. A truly unique concept, his works are available for residential & commercial applications, including in digiglass - created by encapsulating a computer or photographic image in full colour, high resolution, in Class One safety glass. ROUNDHOUSE has created the identity for ‘GAIA’ as seen above and we’ll be launching the GAIA website in mid January 2011 so keep a look out, the work at gaia is visually stunning in its simplicity & patterning. Get a glimpse of it here. Recently, we developed Tanveer’s new website for the deliciously spicy D’Tandoori Palace in Capalaba. Check out their Dine-in menu to see what we did with their tasty menu’s and if you’re in capalaba drop in for a curry, we do.